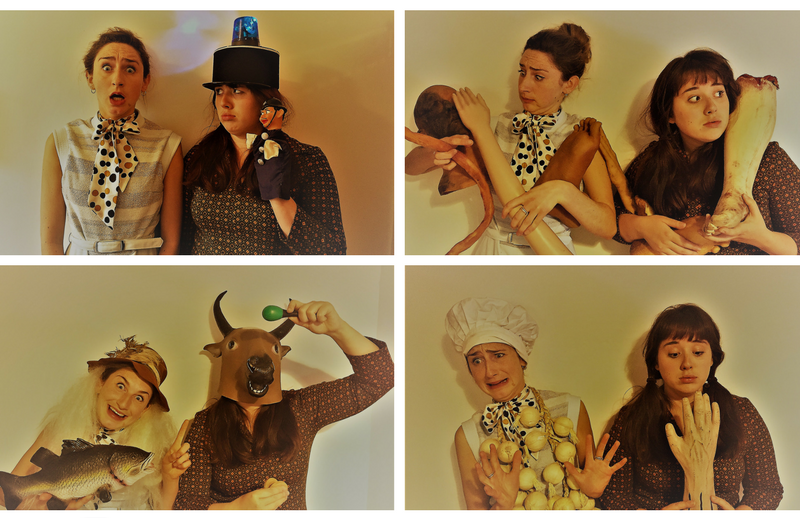 A two handed, multi-rolling farcical extravaganza written and produced by Bristol based theatre company AWOL Productions: Set in 1966, Valerie Silverston - chief editor at London newspaper firm, finds herself on a wild and wonderful adventure with simple Nancy Upshaw. When they 'accidentally-on purpose' murder their boss Douglas Mc Donnelly, cut him up and put him their carpet bags, they set sail on a trip around Europe. Travelling by boat, motorcycle, tandem and even a wild bull. They find themselves popping up in the most peculiar of places and getting themselves into all sorts of mischief. Will they make it back to London undiscovered? 12+. Audience may be handed fake limbs during this performance. All objects thrown into the audience MUST be left in the auditorium after the show has finished. Ticket purchases are non refundable. Concession prices apply to students; under 18s; pensioners; those on disability and unemployment benefits; Equity, BECTU & SDUK members; Portico Places cardholders. ​As a young venue we are still upgrading and developing the space, any additional donations are much appreciated and will be used towards improving the theatre even further and keeping the venue going in the long-term.